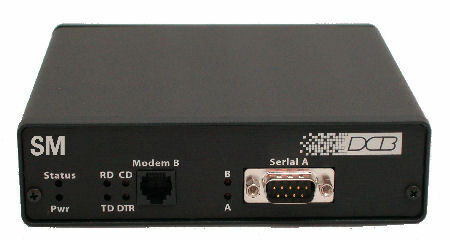 An AES encrypted connection mode requires a shared key and session key on the modems at both ends of the connection. The connection is secured using the AES-256 encryption algorithm and in common configurations, the modem only connects with other properly configured SM modems containing proper keys. Call attempts, call statistics, and management functions are always logged. The 10/100 ethernet port shares the dial-out modem for locally connected LAN clients that don't have a directly connected modem. This features is accessed with the simple telnet program available for all PC workstations. It may also be used in reverse as a telnet client for the dial-in user after authentication. A short list of things that can go wrong when a new user is first configuring the SM-56 modem and how to correct them. Read the note! CIP standards CIP-002 through CIP-009 may be met using standard DCB SCADA products along with proper management and procedural standards. This note delves into CIP standards and shows how the SM security modem helps secure electronic security perimeter access points. Read the note!